Christopher Palmer is an Adjunct Professor for Frost Online at the University of Miami where he teaches and mentors graduate students about the live entertainment industry. He holds a B.B.A and an M.B.A. from Belmont University and recently concluded his service as the managing partner for the jazz/gospel a cappella group Take 6, overseeing their worldwide recording and touring affairs. 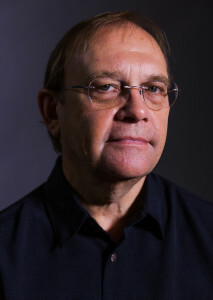 Prior to his career in artist management, Christopher worked with Warner Bros. Records for over 20 years, based in both the Nashville and Burbank offices. As vice president of Warner’s Progressive Music from 1990-2000, he was responsible for introducing and marketing such artists as Mark O’Connor, Bela Fleck and the Flecktones, Beth Nielsen Chapman, Take 6 and Jeff Foxworthy. Highlights for the Progressive Music department included Grammy Award wins for Take 6, a number one jazz album for Bela Fleck and the Flecktones, an airplay award from Billboard Magazine for Beth Nielsen Chapman and a multi-platinum award for Jeff Foxworthy’s debut release. 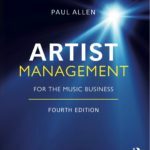 Later, as general manager and senior vice president of marketing for Warner Nashville, Palmer would oversee releases such as “Breathe” by Faith Hill, selling over eight million units, and introduce new artists such as Blake Shelton, Trick Pony, and Big & Rich. 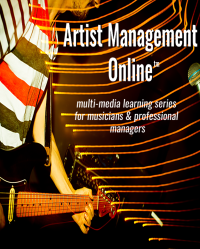 In 2014, Christopher created and implemented two of The Frost School of Music’s inaugural on-line classes, MMI 643: Marketing and Promotion in the Music Industry and MMI 641: Tour Management and Event Production in the Live Entertainment Industry. Before assuming his roll as online faculty, he served as the Associate Professor and Program Director for the Arts Presenting and Live Entertainment Management graduate program in the Frost School, on the Coral Gables campus. 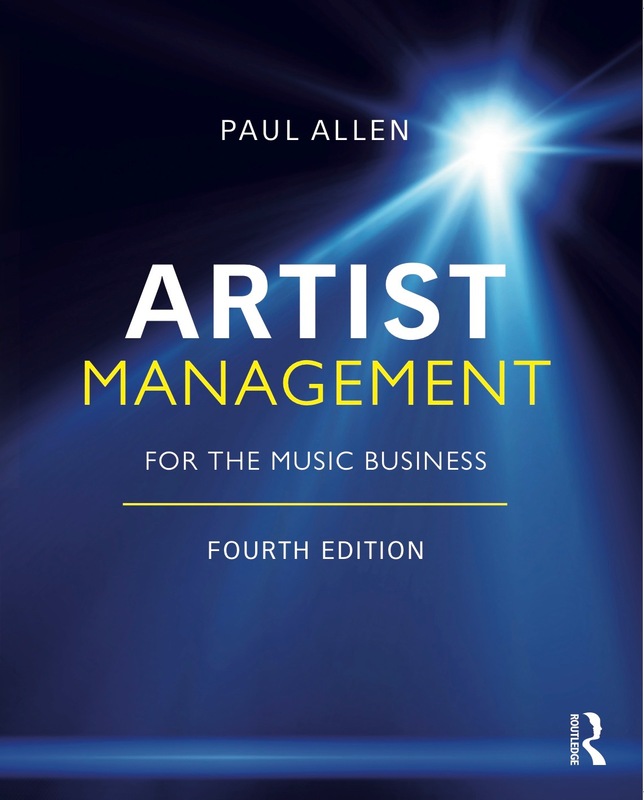 Prior to his tenure in Miami he was the director of Music Business at Murray State University, in Murray, Kentucky. Christopher is a Leadership Music alum, a member of the National Academy of Recording Arts and Sciences, Music and Entertainment Industry Educators Association and has years of membership activity in the Country Music Association, Association of Performing Arts Presenters, International Association of Jazz Educators, Gospel Music Association, Americana Music Association. He served on the board of directors for the Academy of Country Music and is an active board member for the Mobile Big Band Society. Christopher and his wife Pamela live in Mobile, Alabama. 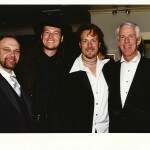 Celebration after the ACM Awards Show with myself, Blake Shelton, Dusty Drake and Jim Ed Norman. 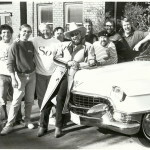 Hank Williams Jr. with the Warner Bros. Records promotion staff. Bruce Adelman, Christopher Palmer, Denny Mosesman, Nick Hunter Hank, Rick Moxley, Bob Saporiti, BIll Mayne, George Briner. Champagne toast for the success of “Breathe”. 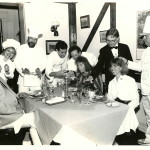 Christopher Palmer Phil Quartararo, Gary Borman, Faith Hill, Russ Thyret, David Altschul. 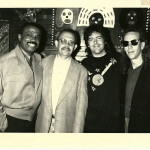 Celebrating the RIAA Gold Certification of the second Take 6 album “So Much to Say”. L-R kneeling, Ray Harris, Christopher Palmer, Rich Fitzgerald, Chris Jonz, Randall Kennedy. 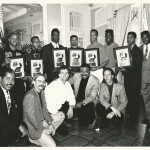 Standing L-R, Marylou Baddeaux, Mervyn Warren, Cedric Dent, Claude McKnight, Mark Kibble, David Thomas, Alvin Chea, Joel Kibble, David Litton, Vic Faraci. 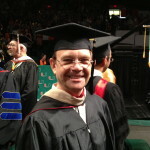 At the University of Miami, each spring and winter I would attend graduation commencement ceremonies with my Frost School of Music colleagues.